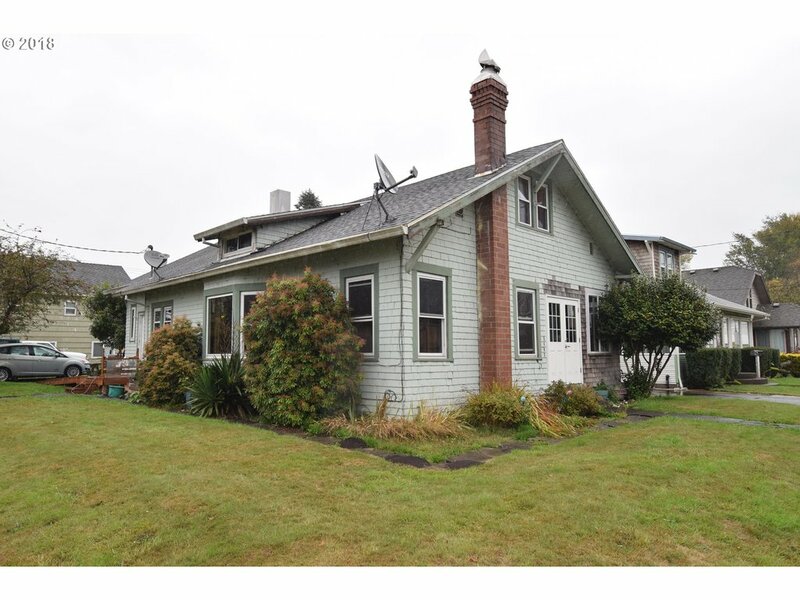 All Tillamook homes currently listed for sale in Tillamook as of 04/25/2019 are shown below. You can change the search criteria at any time by pressing the 'Change Search' button below. 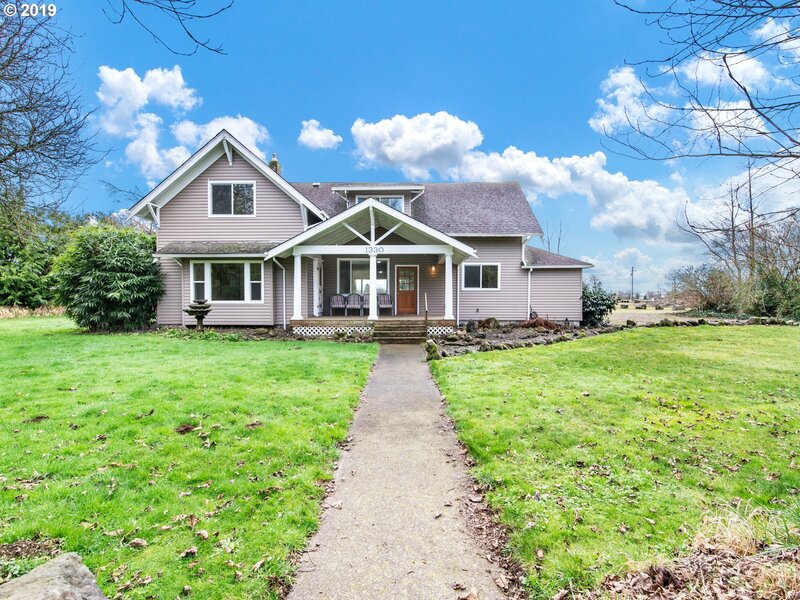 If you have any questions or you would like more information about any Tillamook homes for sale or other Tillamook real estate, please contact us and one of our knowledgeable Tillamook REALTORS® would be pleased to assist you. "LISTED UNDER APPRAISED VALUE! Nearly 200 acre country estate located in the historic, peaceful Eckloff valley; fenced acres with 5000 sq. ft barn, 4000 sq.ft barn, 1620 sq.ft machine shed, ecological New Zealand fencing & creek with water rights. Great for crops, cattle or horses! One mile from public boat launch & world class fishing. Gracing this acreage sits a 5bd, 4bth home with sunroom,solarium, library, formal dining, etc." "TOP OF THE WORLD! Stunning valley, mountain & bay views! Private & secluded hilltop location for this Craftsman home on 120 wooded acres. Features one-of-a-kind solarium w/breathtaking views, enormous deck & unique architectural details that create interest. Cozy kitchen w/built-in appliances, pantry & hardwood floors opens to great room w/a multitude of windows for lots of light! Includes huge shop, dog kennel & att 3 car garage." "Impeccably maintained single level home 1 hr from Portland.This home has everything you would want in a beach home. You're minutes from 5 rivers,2 bays,and great outdoor activities. Open living concept lends itself to entertaining.Park like private 1.57 acre flat lot for your toys, this custom home lives large. Enjoy the Mtn Views and huge deck. The kitchen is a chefs dream with super large island w/double fridge and double ovens." "Beautiful home with sweeping views and three luxurious master suites, main master has propane fireplace. Lots of room for living and to entertain. Open kitchen concept / great room, with a separate formal dining room. The downstairs features more amazing views, a large family room, and theatre room. Home is on 1.7 acre lot!" "CUSTOM CRAFTSMAN HOME LOCATED IN A PEACEFUL AREA WITH PEEK-A-BOO BAY PLUS VALLEY & FOREST VIEWS! THIS 3 BD, 3 BA HOME W/ A 504 SQ FT DETACHED STUDIO IS WAITING FOR YOU! 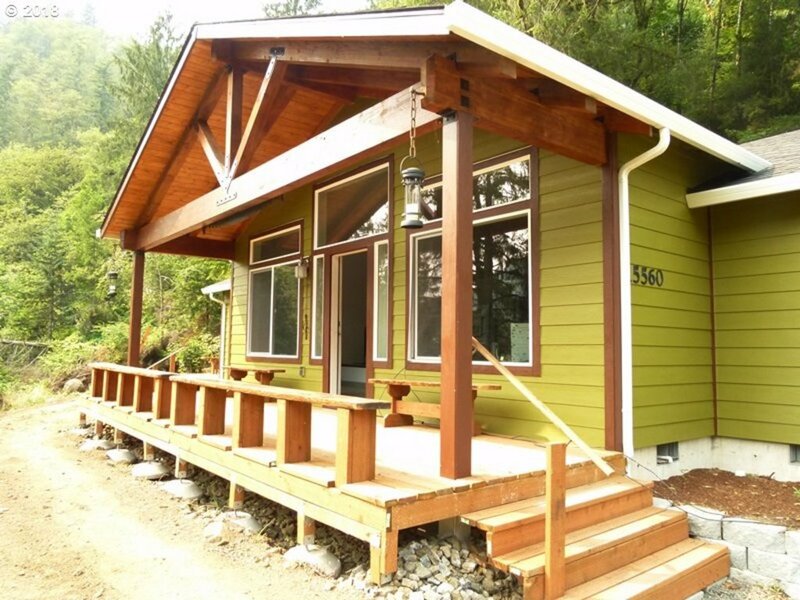 QUALITY FINISH WORK THROUGHOUT WITH DOUGLAS FIR TRIM, CUSTOM ALDER & BIRCH CABINETS & RADIANT FLOOR HEATING, & 350 SQ FT DECK. ENJOY THE YEAR ROUND CREEK SOUNDS, PRIVACY, COMMUNITY HIKING TRAILS, SUNSETS, AND ALL THIS ONE-OF-A-KIND PROPERTY HAS TO OFFER!" "TWO SPACIOUS SHOPS PLUS 2300 SQ FT ONE LEVEL HOME. 36 X 48 SHOP WITH FINISHED OFFICE AREA & 1/2 BATH PLUS A 24 X 30 SHOP. BOTH SHOPS HAVE CONCRETE FLOORS AND POWER INCLUDING 220 PLUG-INS. WELL-MAINTAINED PROPERTY CLOSE TO TOWN AND AMENITIES BUT A RURAL FEEL W/ QUIET LOCATION. HOME HAS SPACIOUS ROOMS. BOTH BATHS ARE COMPLETE UPDATES W/ NEW FIXTURES AND TILE. HOME FEATURES VINYL WINDOWS, ARCHIT. COMP ROOF, HARDWOOD FLOORS, UPDATED APPLI"
"TRASK RIVERFRONT HOME & ACREAGE! New, one level, 3bd, 2bth home on nearly 3 acres in the woods! Stainless appliances, wood laminate floors, woodstove & hot tub. Complete with hard wired 14,000 watt generator. Large 30X40 shop with heated concrete floors, lots of windows & 220 power. Quiet, private location with 400 of river frontage and beautiful mountain views!" "Amazing property, over 2 acres and 300ft of river frontage. Home effectively rebuilt in 2017, all new with open floor plan and beautifully finished throughout, incl stainless kitchen appliances. Amazing wall of windows looks out onto the property and the covered patio offers an extended living space. Plenty of room for all of your recreational hobbies incl fishing, RV, large shop. 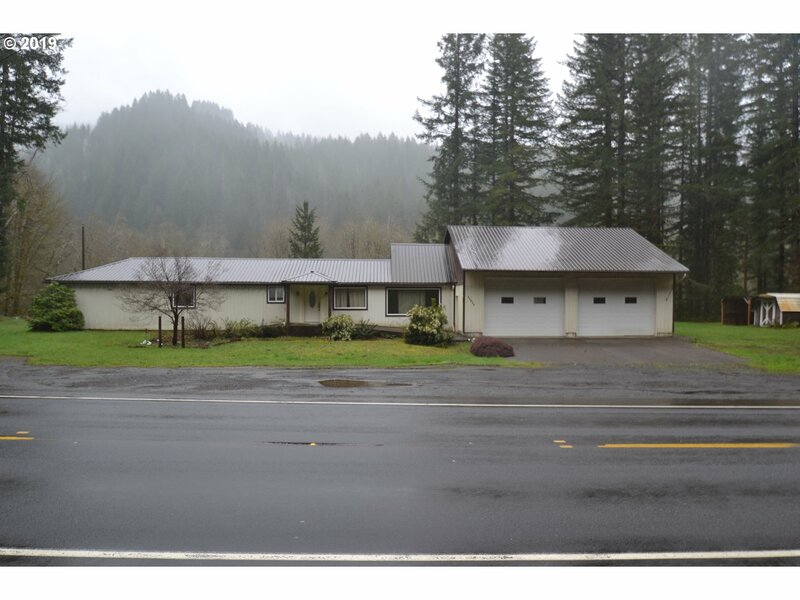 Only 1.5 miles to downtown Tillamook." "Stunning location and reduced price! 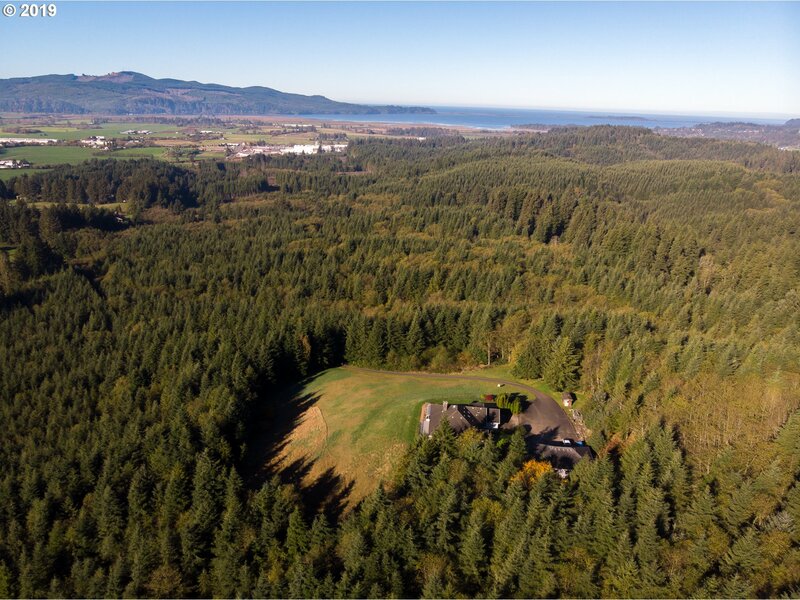 Seated on just under an acre, this 4br 3 bath home boasts marvelous views of the Tillamook Bay. Featuring oversized windows letting in abundant natural light, HW floors throughout, & an open concept floor plan, it's perfect for entertaining. 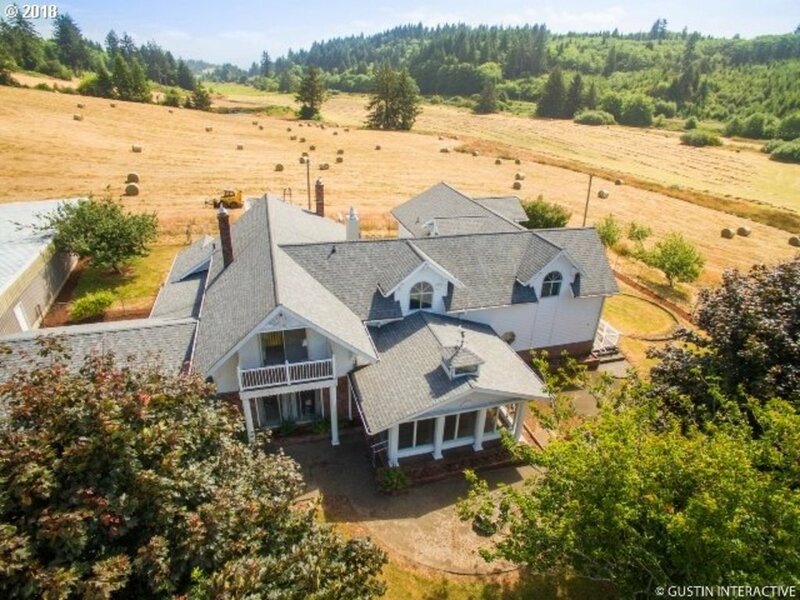 Plenty of space for horses, the property features stalls & easy access to 8 miles of horseback riding on BayOcean spit, afterward, relax in your private hot tub"
"Close-in country living! This single level home built in 2013 offers over 1,700 square feet of living space including 3BD's/2BA's, gracious master suite, gorgeous open kitchen, large living room, dining area, laundry room/pantry and attached 2 car garage. Home sits on 6 mostly level acres (two tax lots), is partially fenced and gated. 1,600 sf metal pole building with power and concrete floor. Wonderful setting with seasonal creek." "Fantastic river front property in a peaceful rural setting! This ranch style home sits on nearly an acre backing up to the Wilson River! Great fishing, room to play & relax! Home has a great floor plan with plenty of updates & a giant garage. Come take a look today!" "5-flex in Tillamook! Great opportunity for the investor! Open common area for tenants. Close to transportation, hospital and local shopping." "Spacious newer 4 bdrm/3 bath home on corner lot with fenced back yard, features tile & hardwood floors, pantry, double garage & walkability to schools, shopping, & services. Great room concept with breakfast bar, main floor offers living area, bedrooms and bath, wide stairway leads upstairs to two master suites. In-town living in revitalizing close & friendly community." "Two homes, one great price! Live in one and rent the other! Or keep one for guests.Both have been rentals and have 100% occupancy. Main home is 3 bed, 1 bath, hardwood floors, formal dining. 2 year old roof and gutters, covered, enclosed back patio, large garage/workshop. Smaller home is 1 bed,1bath, open concept. 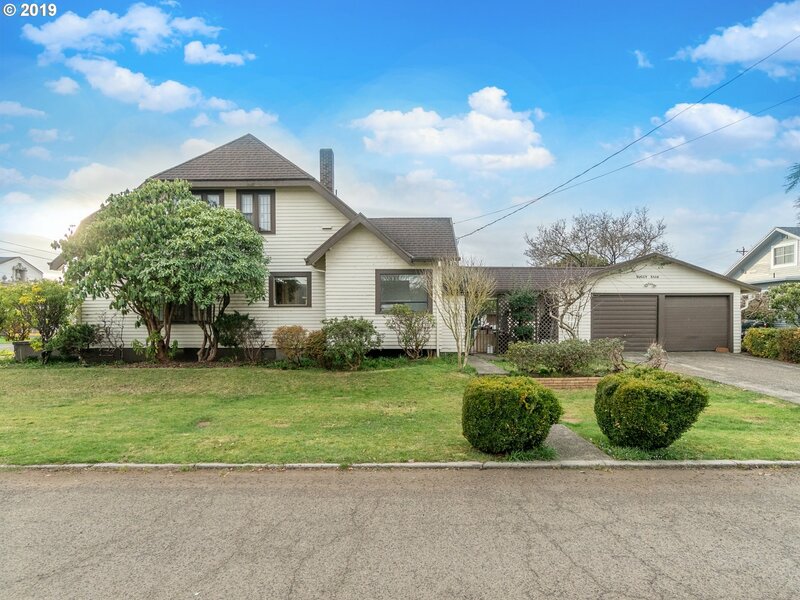 Big yard in front, completely fenced in back. Call for a showing!" "An Oregon Coast diamond in the rough. Over 3,600 sqft feet of retro charm. Large 3 bedrooms, 2 bath with 3 add. storage rooms in the basement (need egress windows to consider bedrooms). Family room can be used as master on the main. Owner had foundation professional repaired in 2011. Use your creativity, and restore the history of the home. 2 car garage. Corner lot. Fenced backyard. 6 blocks to downtown. Call before it's too late." "REMODELED COTTAGE! Charming 3bd on large, deep lot located near boat launch, town, public transportation and medical facilities. Tastefully updated with new laminate, vinyl & carpet and fresh paint throughout! Kitchen has granite counters tile backsplash. Includes all appliances. Fenced on three sides with newly graveled driveway and plenty of room to park an RV or boat. Multi-use zoning. 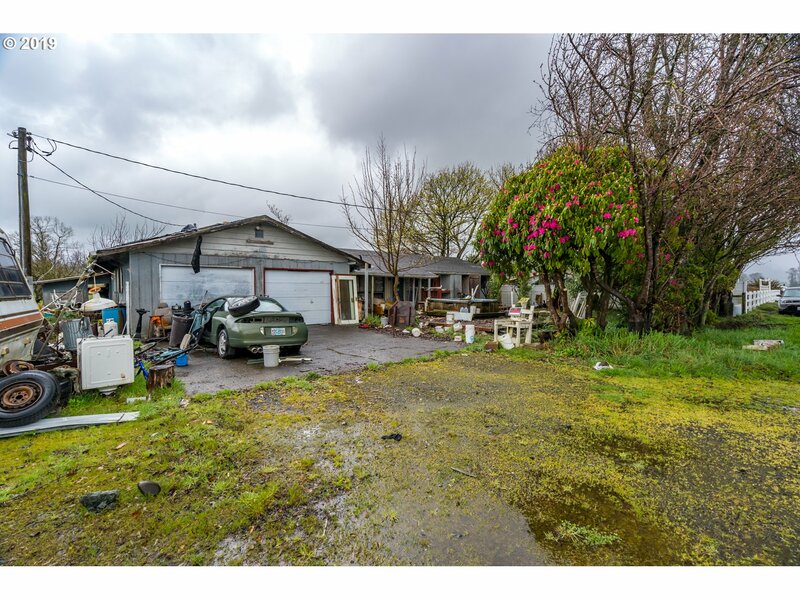 The potential is limitless with this property!" 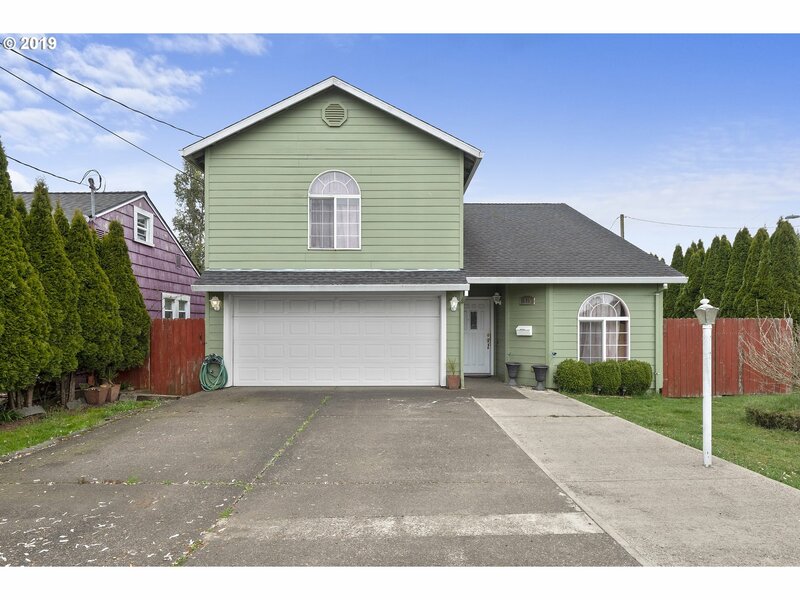 "Don't miss out on this 3 Bed 1 1/2 bath home with a 2 car garage, close to shopping , fishing and many amenities , 1/2 of living room has been converted into a 4th bedroom, easy to convert back, one of poa is a former lic real estate broker in oregon"
"Vintage bungalow located on a corner lot just blocks from Tillamook restaurants and shops. Home has 5 bedrooms, 2.5 bathrooms, high coffered wood ceilings, hardwood floors, built-ins (including a gorgeous hutch in the dining/living room! ), enclosed front porch, and a large laundry/mudroom. Newer vinyl windows with lifetime warranty throughout. Large laundry/mudroom. Off-street parking." 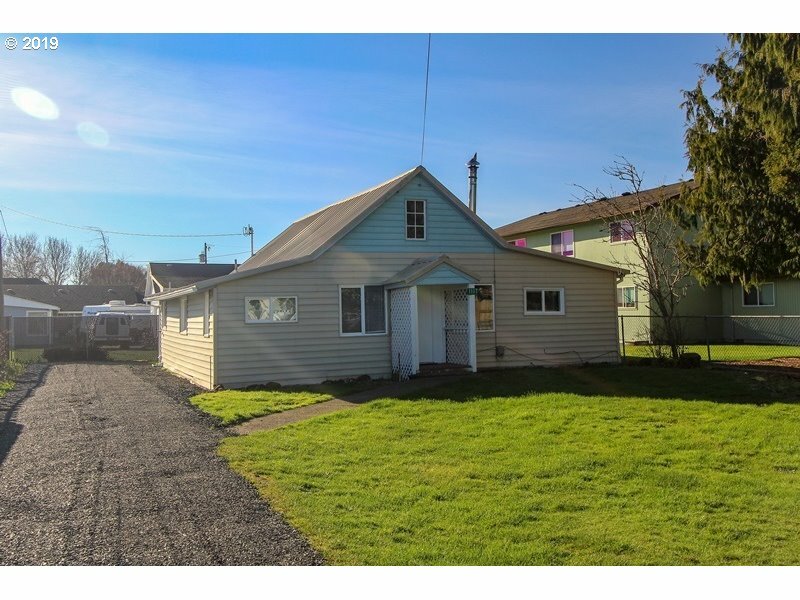 "Unique property with 3644 sq.ft of charm & tons of potential! Gorgeous hardwood floors, vaulted ceilings and large windows make this the perfect gathering spot! 2 bed, 1 bath and mini kitchen on the main level, 5 bedrooms plus bonus rooms, family room and kitchen on the lower level. This property is zoned residential multi use and would be great for a home based business or commercial opportunity! Corner lot with off street parking!" "READY FOR YOUR FINISHING TOUCHES! 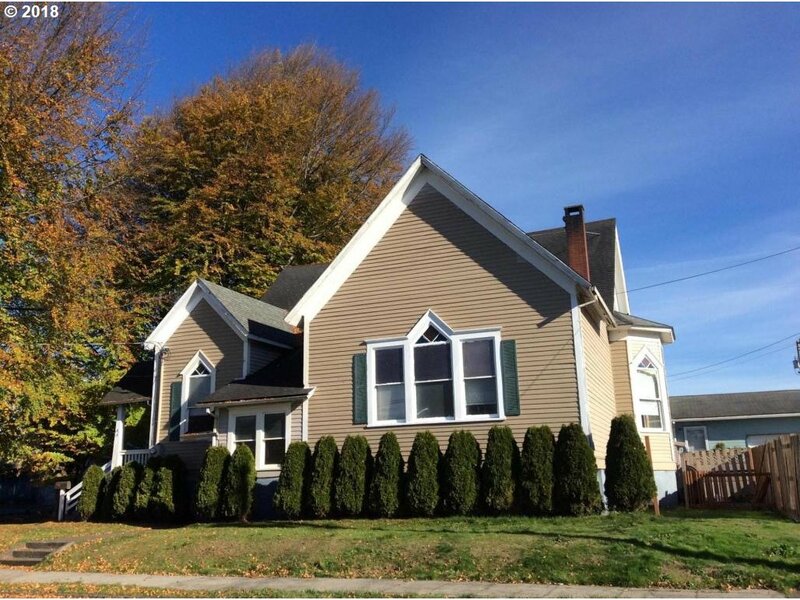 1920'S TWO STORY FARMHOUSE WITH NEW ROOF, FOUNDATION, WINDOWS AND MUCH MORE! 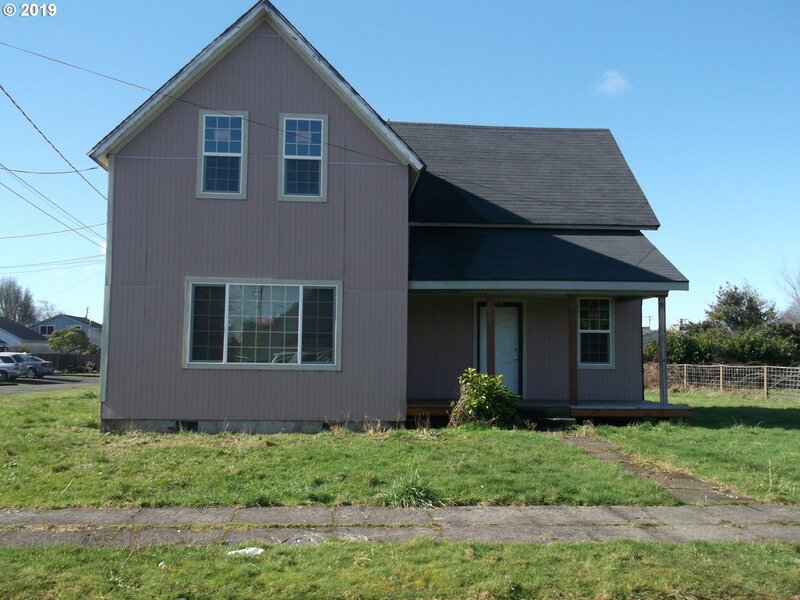 LARGE LEVEL CORNER LOT LOCATION IN TILLAMOOK. SUPER CLOSE TO SCHOOLS, SHOPPING AND MEDICAL. BRING YOUR FINISHING IDEAS. PERFECT FOR FULL TIME LIVING OR INVESTMENT PURPOSES! SEE LIST OF IMPROVEMENTS UNDER THE DOCUMENTS TAB. R5.0 ZONING FOR MULTI UNITS AS WELL DUPLEX, 4 PLEX, ETC. ADDITIONAL INTERIOR PHOTOS TO COME!" "Charming Cottage that will welcome you home with the white picket fence and enclosed sun porch! It has so much character! Updated one bedroom plus bonus room, cozy living & dining area & spacious kitchen. Tons of built-in cabinets with lovely wood detail, large laundry rm. & attached 416 sq.ft garage/shop. Commercial corner lot is 5663 sq.ft with fenced back yard. 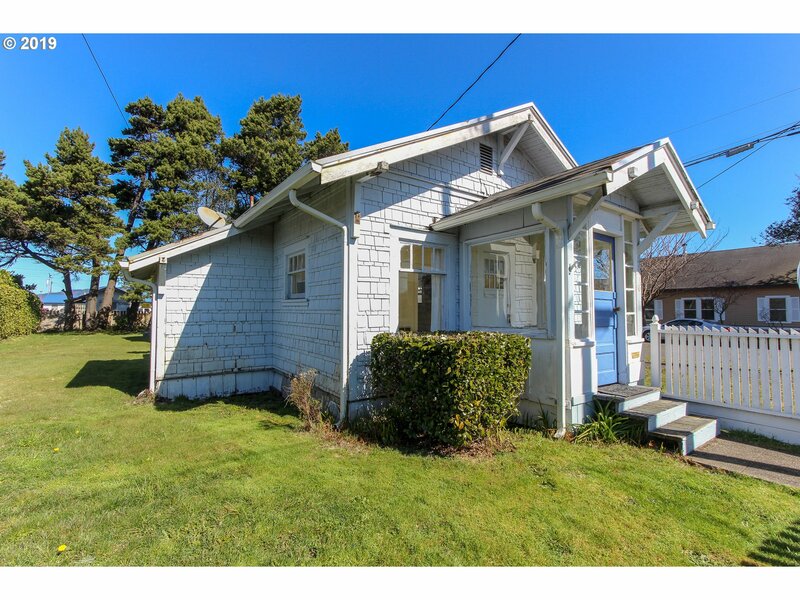 Great investment & commercial property potential or cute beach get away!" "Over a quarter of an acre in lovely Tillamook! All offers contingent upon interior inspection of the home."